Are you a beginner investor looking to make the right investment choices? Are you wondering what type of investments to make in order to secure your future? Do you wish to get maximum growth from every Dollar/Pound/Euro? If your answer is yes to the above questions then you have come to the right place! 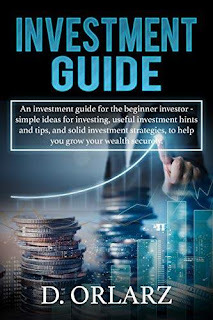 This book has been written keeping in mind beginner investors and what they have to bear in mind when making investments. If you feel lost and need help to understand what it takes to start investing for the future then here are some things that will be discussed in the book to help you out.